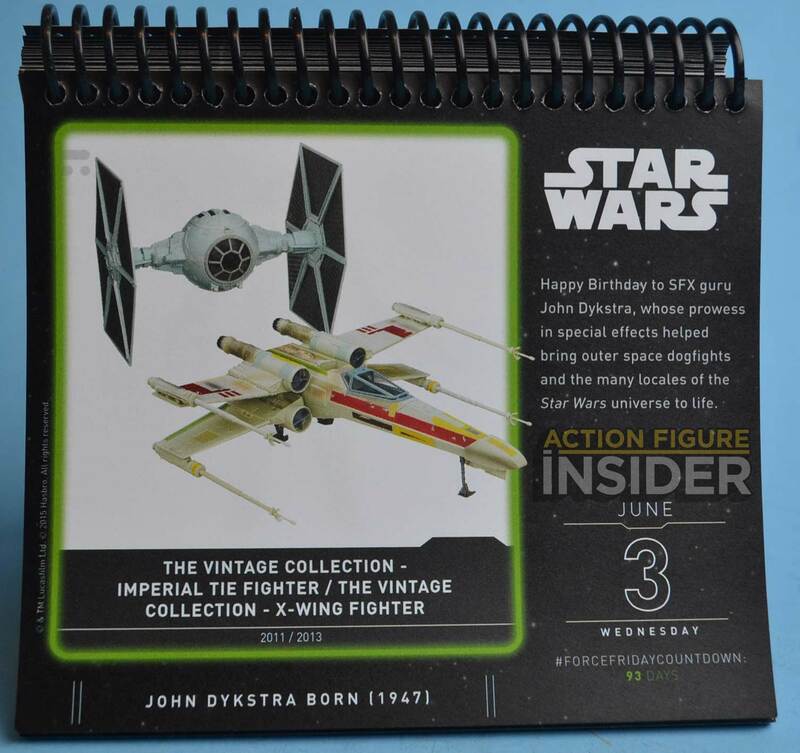 Hasbro sent out this amazing page-a-day Star Wars calendar to help us countdown to the release of new Star Wars product on “Force Friday” on September 4th. Today we are 93 days away from Force Friday and today is a birthday shout out to special effects legend John Dykstra! nice for loved playing with the x-wing which the picture really does not show that the wings open up by pressing r2s head on the original version .